An Employer of Record (EOR) service can help your organisation retain its best talent after Brexit. Brexit is going to present businesses with a huge challenge: notably in terms of retaining and finding the best global talent for their organisation, as well as encouraging British staff to work abroad in branch offices worldwide. British newspapers regularly report on fears of a ‘Brexit brain drain’, with one recent survey claiming that as many as one million EU nationals working in the UK are considering leaving the country. 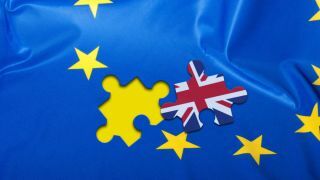 That particular KPMG survey of 2,000 EU citizens working in the UK also noted that 50 per cent of those planning to quit Britain post-Brexit were workers with PhDs and 39 per cent with postgraduate degrees. With half of those surveyed claiming that they felt less welcomed and valued in the UK since the result of that historic June 2016 referendum. In another survey earlier this summer of 250 EU workers employed at FTSE 250 companies educated at degree level or higher there were further warnings of a Brexit brain drain, advising that companies could face a “significant skills shortage” post-Brexit, with many respondents fearing losing their job. Surveys are, of course, not always indicative of the reality of the situation. But they can offer a useful snapshot of popular and public opinion over these issues. However, it doesn’t help British entrepreneurs and business leaders to be too swayed by tabloid scaremongering over Brexit. Still, that said, there is clearly a lot of uncertainty when it comes to post-Brexit policies around employing EU nationals and employing British nationals abroad. Clearly, retaining talent and ensuring the best talent mobility throughout global organisations headquartered in the UK are going to be key issues for British enterprises over the coming years. If your business employs staff in other EU countries, EU citizens in the UK or if you hope to expand into Europe in the future, then Brexit has no doubt thrown something of a curveball your way. Tabloid scare-mongering over fears of a ‘Brexit brain-drain’ aside, there is a very real and justified unease amongst the business community, across UK companies of all shapes and sizes. Brexit has been on every business owner’s lips now for the last eighteen months, with a great deal of uncertainty for any UK organisations with current or future plans to employ staff abroad. What happens to my employees abroad? How do I prepare for the unknown and make sure I am compliant with any employment regulations? Am I now going to incur the expense of setting up a legal entity on the continent, or in Ireland, in order to continue my operations there? So what are the coping strategies that companies faced with these massive uncertainties need to know about to help them deal with talent mobility in a post-Brexit era? An agile and comprehensive Employer of Record (EOR) service is perhaps one of the best and most straightforward solutions to allow any company to seamlessly expand, on board, manage and pay employees worldwide, while continuing to be compliant with local and EU employment laws. Learning to deal with and manage this current uncertainty over Brexit and what we might call ‘talent mobility’ is vital for most modern British companies, as this is a challenge on an incredibly large scale, with around 3.6 million EU nationals now living in the UK, and 4.5 million Brits living in Europe. There is a chance that many of those 8.1 million citizens across Britain and mainland Europe may decide to return home or have VISA issues, post-Brexit. This is a large part of the reason why even the best laid plans for global expansion have been thrown into disarray by the uncertainty of the current situation regarding the free movement of Brits and EU nationals across Europe. Preparing for any eventuality by employing an EOR service helps any company manage the risk and uncertainty associated with these types of talent and staffing concerns. An EOR service is a straightforward solution that can help provide continuing support to businesses through this forthcoming period of change. For those looking to expand their organisation into other countries, it can help to attract and hire key new talent and to manage their existing staff that are most immediately affected by the impact of Brexit. What is an Employer of Record service? So what exactly is an EOR service? And why might your business want to use one to deal with Brexit-related staffing concerns and talent mobility issues? An EOR service essentially assumes all the key business of employment responsibilities such as HR, payroll and benefits. With the current uncertainty mentioned above in mind, it can be set up specifically to enable companies to mitigate the effects of Brexit in a number of ways. Most importantly, EOR can provide a company with flexibility around where staff are located to make sure it retains the best talent possible. It provides services to deal with the sponsorship of employee residency VISAs and work permits, for example, taking away the onus and responsibility for the individual or his or her employer to deal with such time-consuming (and often quite stressful) bureaucracy directly. Likewise, this works in the reverse situation of helping companies retain their best workers here in the UK who also happen to be EU nationals. The Employer of Record is the legal entity that employs them, ensuring that businesses can continue to be compliant with local and EU employment laws. All of this means one thing, business leaders and British entrepreneurs need not lose any more sleep over the threat of a Brexit brain-drain or of the limitations of employing British nationals abroad post-Brexit. What they do need to do is to look into the options available to their HR departments from a good Employer of Record (EOR) support programme to expand, on board, manage and pay employees whether they happen to be in Europe or in the rest of the world. That way, all of your staff are paid on time, receive all their employee benefits and, for all intents and purposes, are managed equally well, as if they are all in the same office.